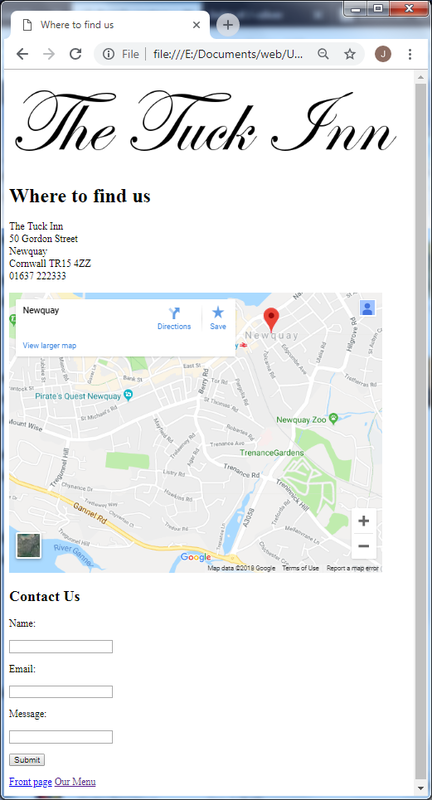 Create a new empty page called contact.html and save it in the The Tuck Inn folder. First create a heading Where to Find Us. 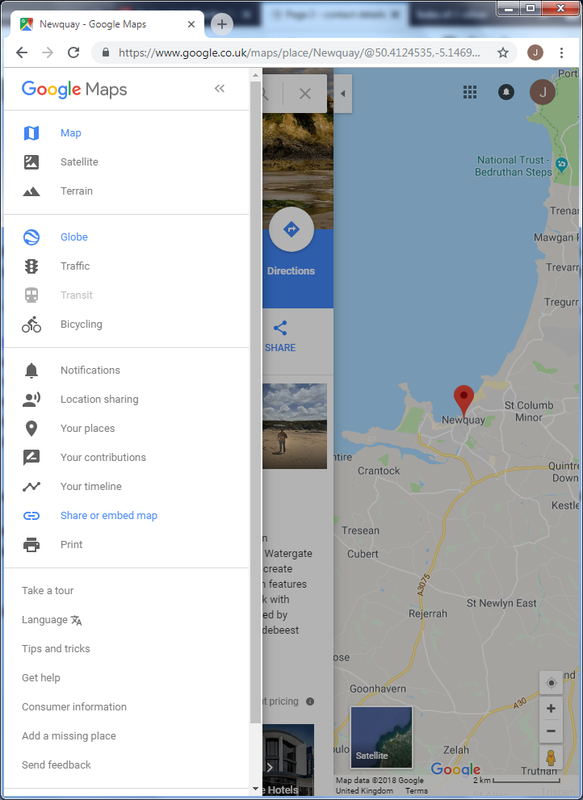 Under that put the restaurant address and phone number (make it up but make it somewhere real in Newquay as you need to find it next!). You could use paragraphs for the address but sometimes <br> tags look better. Finally put the links in.